Woodsbury Suites @ Harbour Place is located at Jalan Chain Ferry in Butterworth, Penang. Woodsbury Suites project comprises two towers with a total of 420 units with choices of studio apartments, 2-bedroom apartments, 3-bedroom apartments and penthouses. The built-up area ranging from 550 sq.ft. (studio units), 750 sq.ft. to 950 sq.ft. (2-bedroom apartments), 1,250 sq.ft. 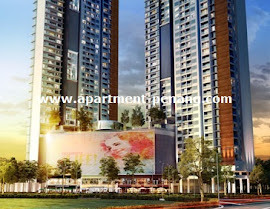 (3-bedroom apartments) and 1,700 sq.ft. to 2,500 sq.ft. for penthouse. Built-up Area : 550 sq.ft. - 2,500 sq.ft. Does anyone know when are they going to launch this project ? Any one know the price? The project will take 3.5 yrs to complete. If calculate after 4yrs then it might be cheap. Again, the Penang Sentral project is start next yr. It might affect the land price there grow up suddenly! 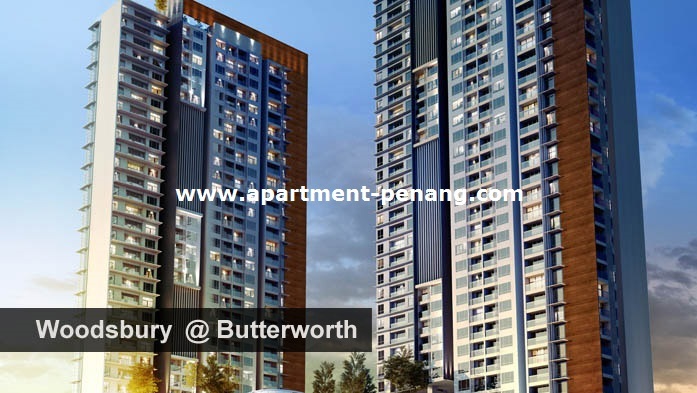 For butterworth, that price is CRAZY!!!!!! Hos much can get is introduce? Tower B will be open soon...another price increment? Jusco is moving to Alma, Penang Sentral is coming soon with fast train on the way. BM n Butterworth is lack of big shopping complex. If PJD did it well, this area will be prime area where SP, Sungai Dua, BM and BW people will flock to. Alma is too far from Penang Bridge and the narrow road to that area is a big turn off for people to go there. And their pricing is not cheap too, double storey link house with RM600k+ pricing!!!! Who want buy woodsburry suites.if put my name as recommand.i can share my incentive to u. Please call mr ng 012-5547599. Thank. Just check the approval from MPSP, the permit is mix development, Commercial and Resident. Those stay in the apartment are Resident title. Resident title? But d maintenance fee is charged based on commercial title rate..hmm..
Who want to buy woodsbury suites. If u put my name as introduce.i can share incentive to u.please call mr ng 012-5547599. Thanks. Who want to buywoodsbury suites. If u put my name as introduce. I can share incentive to u . please call mr 012-5547599. Thanks. How much Psf for Woodsbury now? Hi, Anyone who interested to buy Woodsbury Suites can contact Ms Lau 016-5537767. I am willing to share my incentive with purchaser that put me as introducer. Kindly contact me 016-413 0930. Thanks. Cheaper & Rare In Market !